Here in Cody Yellowstone we enjoy our great outdoors and competitive spirits! There is no better way to spend a warm summer day than on any of our challenging golf courses. These public courses offer a variety of amenities including outstanding vistas of the high dessert and unique foothills. Add to your western experience by playing one or all of these unique courses. 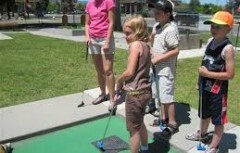 The 18 hole miniature golf course located in Cody’s City Park is owned and maintained by the City of Cody and supports more than 20,000 players each summer. Open June through August: daily, 11am-10pm Limited hours May and September Call for fee schedules and more information. The Powell Golf Club is a Championship 18-hole public golf course. Par 72-7000 yards. It has a full practice facility with driving range,putting green and chipping green. Golf shop, lounge and practice facility available. 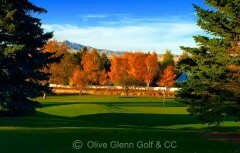 Open April through October: daily, 8am-dusk Call for pricing and tee times.